Some of you may know, that Pip Squeak is turning FOUR soon! And she would like to have a Unicorn Party theme. That opens up lots of possiblities – unicorns (of course), rainbows, glitter etc. So to start our Unicorn party season off, we had to design and make our party invites! 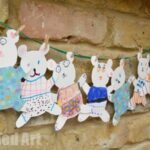 I try and get the kids to help make their own party invites, afterall it is THEIR party, so they have to be age appropriate. 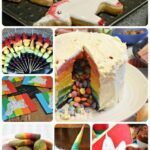 After some thought, I settled on our rainbow unicorn invites as Pip Squeak was able to do a lot of it! 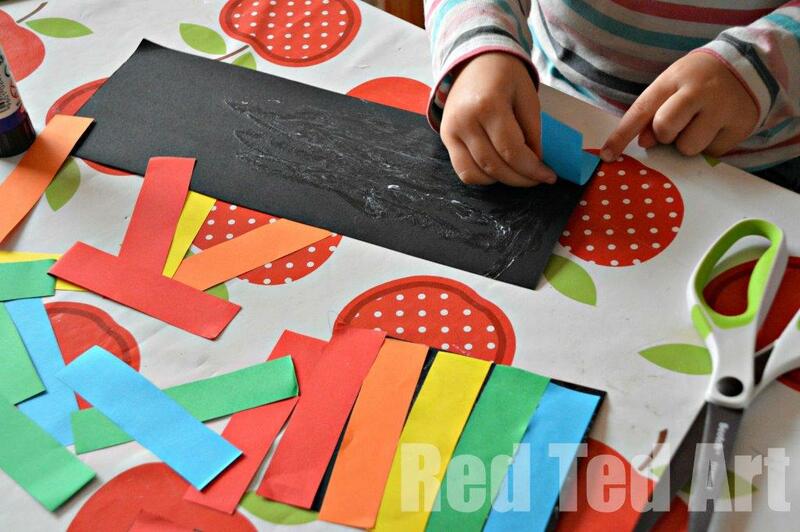 1) I cut strips of paper for her (we didn’t have purple, so the rainbow is not quite complete). 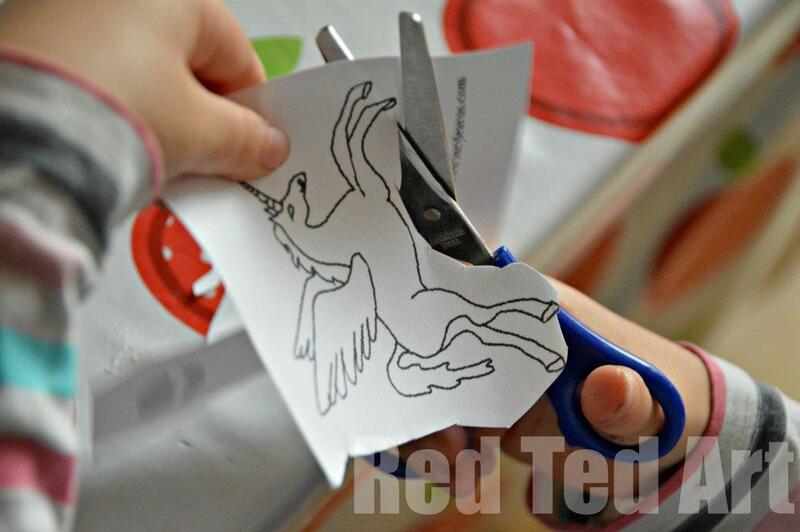 3) Then we found a simple unicorn to print off (yes, I could have drawn one, but we didn’t have the time), I printed them and Pip Squeak cut them all out (am very proud of her cutting skills). 4) Then of course she finally stuck them on. 5) We wrote with a silver pen on the back of the black card and I encouraged Pip Squeak to write her own name. Done! Our friends have had their invites and now we “just” have to start planning what to do on the day. 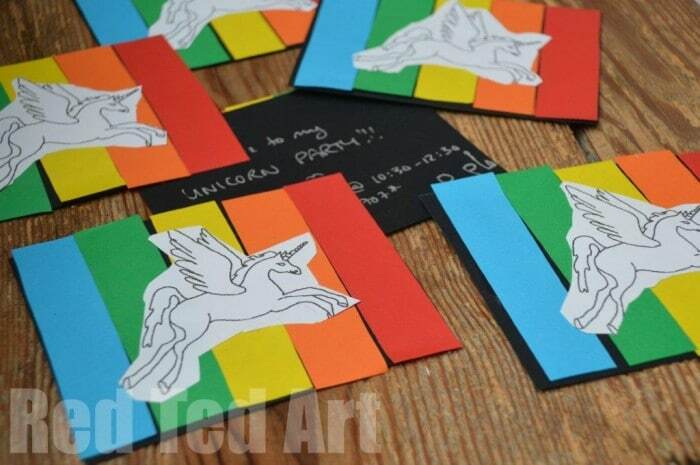 15) If I have time, I MAY just make some of these little unicorns for the party bags! 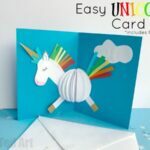 Need more Unicorn Crafts? Take a look at these! 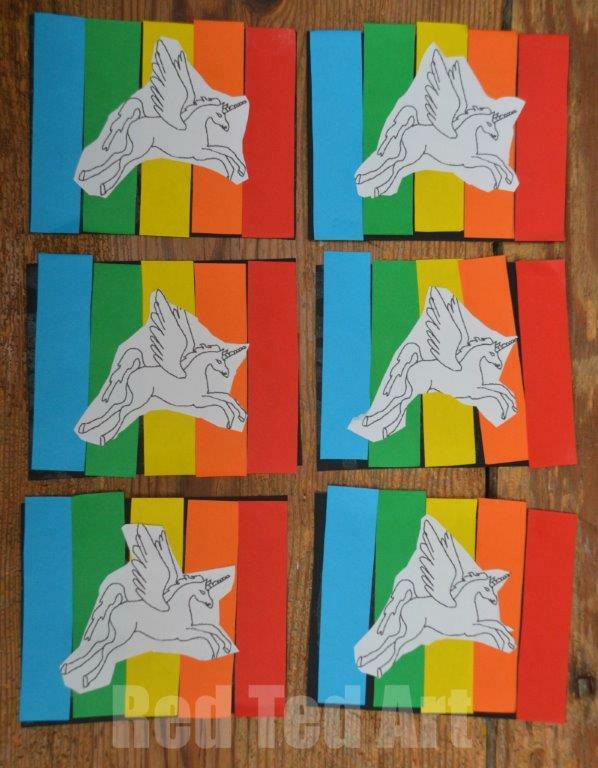 Thanks so much for sharing my felt unicorns! 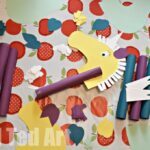 I hope you enjoy making them and have a wonderful Unicorn party. 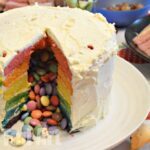 I still want to have a Unicorn party for my girls, but no doubt they’ll have other plans… again! My pleasure they are so cute!! LOVE the invites.. my daughter drew her own unicorn that we copied to put over the rainbow stripes. 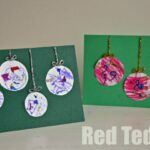 We used cereal boxes & old greeting cards as The card base. 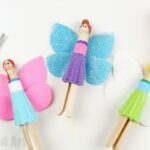 She loved making them & it makes it extra special! !